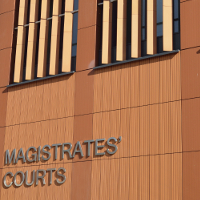 “On Tuesday 22 March at Luton Crown Court, Robert Dass, the director of Nationwide Security Management Ltd, was found guilty of supplying multiple unlicensed guards. “The court heard that Nationwide Security Management Ltd supplied unlicensed security guards across England from June 2014 to June 2015. During an inspection at Meadow Shopping Centre in Sheffield, SIA investigators worked with Home Office Immigration Enforcement (HOIE) and found a security guard working on a revoked licence and in breach of a student visa. He was subsequently arrested and deported from the UK. “Further enquiries were made by SIA investigators at a site in Portsmouth which revealed that another security guard, Sunil Kumar, never held an SIA licence but had been working for Nationwide Security Management Ltd since 25 November 2014. This amounts to a Section 3 offence under the Private Security Industry Act (PSIA) 2001. Several other security guards, Asif Abrar, Muhammad Luqman, Hafiz Bilal Ahmad and Faheem Bhatti were also found to be working without a licence, also an offence under Section 3 of the PSIA (2001). “To investigate further the SIA requested information from the director, Robert Dass. He failed to supply all of the information requested omitting data on the identity of some security guards. This amounted to a Section 19 offence under the PSIA (2001). Instead Dass said “no comment” during an interview with SIA investigators and provided a prepared statement which stated that he had allowed others within the company to deal with operational affairs. This statement substantiated the fact that Dass was neglectful in the running of his company, a Section 23 offence of the PSIA 2001. “Despite a lack of cooperation from Dass, SIA investigators were able to gather evidence to show that unlicensed guards worked in other locations such as Wolverhampton, Hertfordshire and Portsmouth. “The judge found Dass guilty of four counts of supplying an individual without a licence, an offence under S5 of the PSIA (2001) and he was fined £2,000, ordered to pay costs of £7,000 and issued a surcharge of £120. The company itself, Nationwide Security Management Ltd, was also found guilty of four counts of supplying an individual without a licence, an offence under S5 of the PSIA (2001). It was also fined £2,000, ordered to pay costs of £7,000 and given a surcharge of £120.